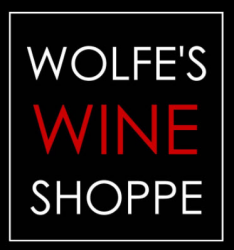 Wolfe’s Wine Shoppe was founded on the idea that South Florida needed a venue to retail wines outside the world of ordinary. We are committed to supporting the products of small family growers that are true farmers first. These artists’ wines embody the natural characteristics of the land. We celebrate these drinkable gems and ignore the hype that surrounds highly commercialized productions that have swept over the nation. Over the past16 years, Wolfe’s has secured a strong position in the South Florida market and we are growing every day. The staff is a friendly, knowledgeable, accommodating and service driven group. We are passionate about seeking out and providing our customers with the best of what the wine world is producing. We are so thankful for the continued support & love that our family & friends have given us over the past 16 years. Our small family run business is very much supported by not only their patronage, but the timeless support and energy all of them give us throughout the year...grabbing a bottle to help pour at the tastings, keeping the ever long passionate conversation about food & wine flowing and energized, blind tastings from their own cellars, donations to local charities we or wolfepackers support, etc. etc. etc. This is our life! This is our love! This is our family!